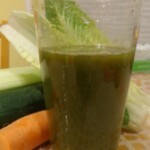 It has been so long since I posted a recipe for green juice! 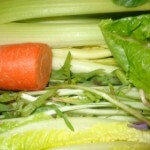 Whenever I introduce a new ingredient in my regular juice, I post about it. This time it is delicious carrot tops! 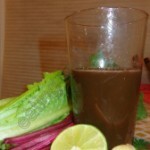 Do check this earlier post to find out why I juice and my choice of juicer. I had planted carrot seeds in my garden and now it is yielding small carrots with lovely shoots. I have heard that the tops are edible. After a quick google search, I found this very useful post from thekitchn.com. As a first trial, I juiced the leaves that have a nice carroty smell. I also have started adding dulse flakes to green juice for a natural iodide source. I’m posting this in the Virtual Vegan Linky potluck 10 this week. Click on the link for wonderful vegan ideas! * Wash all the leaves, veggies well and put through a juicer. Squeeze lime and add dulse. I’m happy to have discovered green juices, they are not only healthy but tasty too! Apsara…3 representatives from the same family…celery, parsley, carrot tops…I guess these family members do get along well together! That’s true! Did not realize it. I usually add a carrot to add some sweetness to mask any bitter taste from greens. I feel healthier just reading the ingredients! 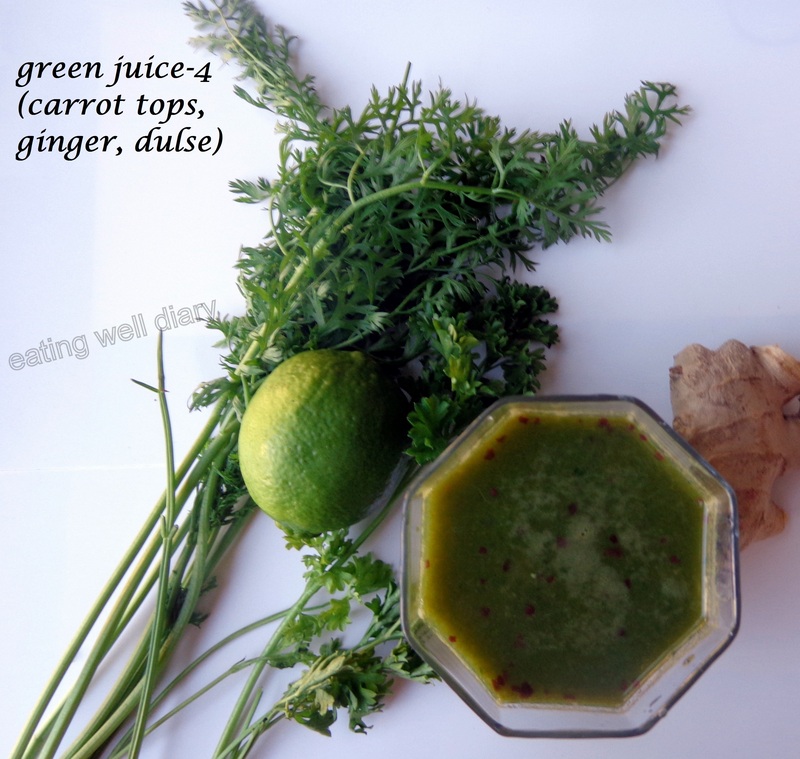 I would never have thought to use the carrot greens in juicing…such a great idea! I love the beautiful color of the final product…it looks healthy yet delicious too! thank you, Lou. I just checked out your lovely blog. Glad to connect with you! thank you for the review, dear!